The DCP-1610 is a high density multilane transponder module for the DCP-2 1U chassis system. Each DCP-1610 offers ten independent transponders operating from 1G to 16G line rates, enabling 20 x DWDM channels per 1U (40 x DWDM channel per 2U) for high capacity needs. 40G interfaces can be transported via 4x10G wavelength groups with CWDM or DWDM traffic being supported. 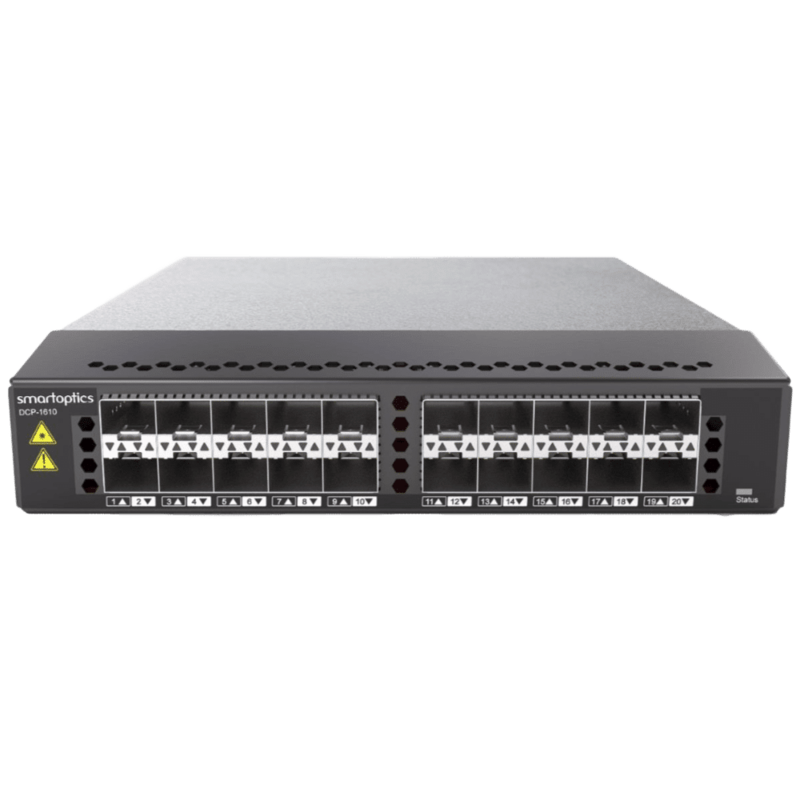 The DCP-1610 is perfect for new xwdm transmission installations or as part of any modern disaggregated DWDM deployment strategy (for example any of the Open Source Hardware initiatives) and can be used with any mux/demux platform compliant to ITU DWDM standard G.694.1 or CWDM standard G.694.2. G.709 FEC is available on all interfaces for 8G/10G/40G protocols to extend the transmission distance in amplified systems. 8G/10G/16G/40G traffic can be encrypted using next generation encryption techniques compliant to FIPS 140-2 Suite B. For 8G/10G/40G traffic this encryption can be combined with GFEC G.709 for long distance transport.